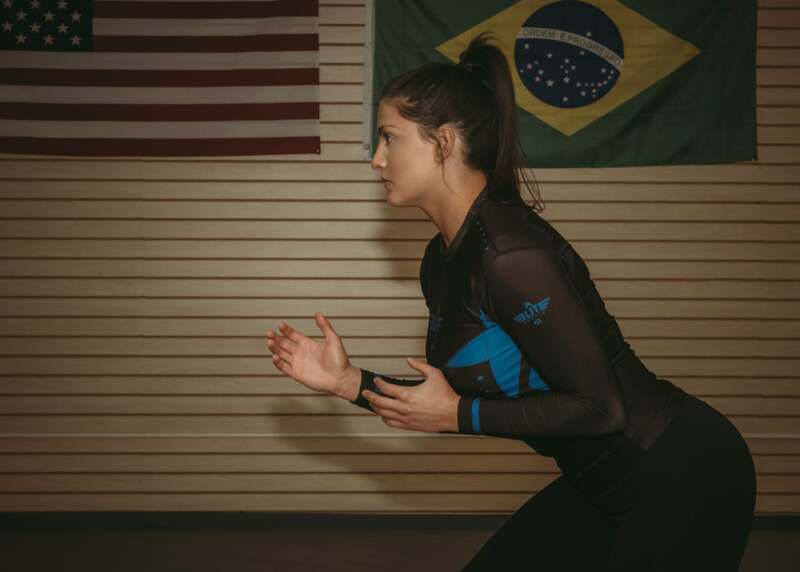 Amber Smallridge is a 29 year old BJJ Blue Belt under RCJ Machado and is an avid competitor in the community. Throughout her 2 ½ years of training she has received numerous gold medals with a high competition submission rate. She loves competing and is working hard every single day to be a world champion in 2019. Amber is extremely passionate about health and fitness and particularly enjoys weightlifting. Aside from being a dedicated “gym rat” she also works full-time as a Radiologic Technologist and loves the patient care aspect. She hopes to be able to train full-time in the future and compete as often as possible. - 1st place - Modern Flow Gi - white belt - middle. - 1st place - IBJJF Chicago Spring Open Gi - white belt - medium heavy. - 1st place - Toledo Open Gi - blue belt - medium heavy . - 1st place - Toledo Open Gi – women’s absolute. - 1st place - IBJJF Chicago Summer Open Gi - blue belt - medium heavy. - 1st place - Modern Flow Gi - blue belt - medium heavy. - 1st place - Modern Flow Gi - women’s absolute . - 1st place - Modern Flow No Gi – intermediate - medium heavy. - 1st place - NAGA NoGi – intermediate - medium heavy. - 1st place - NAGA Gi - blue belt - medium heavy. • 1st place - Modern Flow Gi - blue belt - medium heavy. - 1st place - Modern Flow Gi - women’s absolute. - 1st place - Hildegard Gi – advanced- heavy. - 1st place - IBJJF Orlando Open Gi – blue belt - heavy. 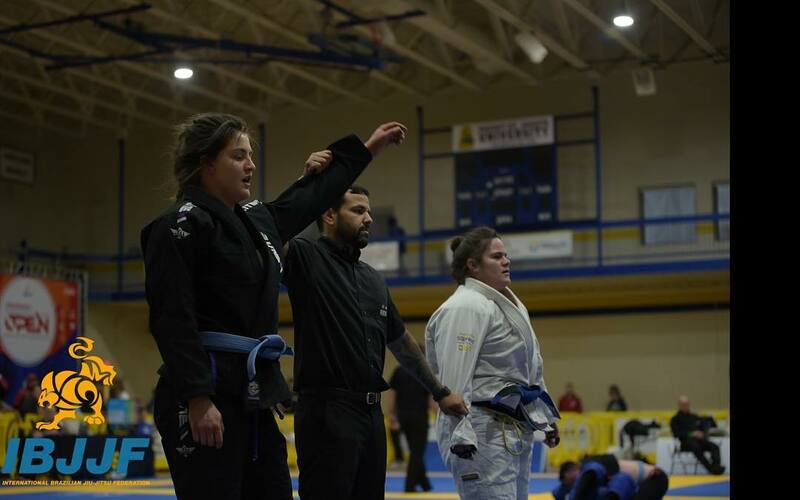 - 1st place - IBJJF Chicago Open Gi – blue belt - heavy. - 1st place - IBJJF Chicago Open Gi – blue belt - absolute. - 1st place - IBJJF Chicago Open No Gi – blue belt - heavy. - 1st place - IBJJF Chicago Open No Gi – blue belt - absolute. - 1st place - IBJJF Pan Ams No Gi - blue belt - heavy. - 2nd place - IBJJF Pan Ams No Gi - blue belt – absolute. - 1st place – IBJJF Cincinnati Open Gi-blue belt-ultra heavy. - 1st place – IBJJF Cincinnati Open Gi-blue belt-absolute. - 3rd place – IBJJF No Gi Worlds-blue belt-heavy. - 3rd place – IBJJF No Gi Worlds-blue belt-absolute. Answer: Compete as soon as you can. Nothing helps you learn more about yourself and what you need to work on. Answer: Being a fighter means striving to better myself physically, mentally, and emotionally every single day. I work toward getting better no matter what upsets come along the way. Most importantly, learn from my mistakes and keep moving forward. Answer: Constantly work on your weak areas, even if it makes you uncomfortable, it will only make you better….no ego! Answer: Although I may look smaller than most in my division, I have a lot of muscle. I do a lot of weight training aside from my BJJ training. Answer: Anyone! Always room to grow, learn, and get better! Answer: Health and fitness is a main part of my life so my diet year round is pretty clean. I function better this way. If I need to cut a few pounds before a competition I alter my diet a bit, but nothing too drastic. Question: How does a beginner prepare for the competition? Any advice for beginners? Answer: Just train. Train different scenarios. Have more than one game plan. Know that no matter the outcome, putting yourself out there will only make you better! Answer: I believe it is beneficial to know where your competitor’s strengths and weaknesses are so you can capitalize on them and figure out a game plan. Answer: I truly believe that BJJ is for everyone. Aside from the physical benefits/self-defense aspect, it requires an individual to put ego aside, be vulnerable, and open-minded. Everyone can benefit from this! Answer: Quadruple gold at the IBJJF Chicago Summer Open and winning Pans were both extremely exciting. Answer: Training in martial arts helps practitioners develop leadership skills (confidence, communication, discipline etc.) in a way that no other sport can. As an individual becomes more advanced in BJJ they can begin to pass their knowledge on to newcomers. Answer: I would love to do a sub-only super fight against a top level athlete. Answer: I train hard and consistent throughout the entire year and continue that leading up to a competition. My coaches and I do meet up periodically to figure out strategy and anything else we feel I may need to fix before the big day. Question: How much importance is the sports gear in any competition? Answer: It is essential to have high quality gear when competing. It must fit well/not be too loose or tight and must be comfortable. Question: What should we learn from the legends /or from the seniors? Answer: They’ve been in the game for a long time and have obtained a wide variety of knowledge over the years; thus anything they want to teach I am all for learning! Answer: My coach Bill Konkel and my husband Steve. They dedicate so much of their time into making me the best BJJ athlete I can possibly be. Question: Who is your inspiration? Answer: My team! We all work so hard to get better every single day!